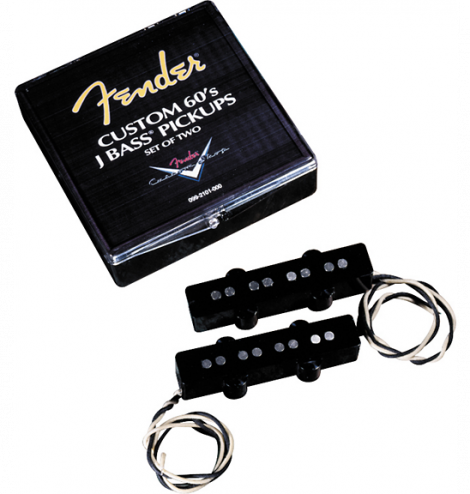 If you are looking to make a change to your guitar, a new set of pickups can do the trick. Pickups tend to be one of the first things a guitarist upgrades. Since guitars are similar, a pickup can make a significant change to your output. But, how do you find the best pickups for bass guitars, in particular? Before you start shopping, consider what sound you are shooting for first. Then you can start your research to see what set of pickups will deliver that sound. Bass pickups perform the same duties. However, their makeup and how they perform can have varying results on the tone you get from your bass guitar. The right accessories are a vital part of your instrument and help you create new sounds and tones. So here are a few tips on what to look for in a set of pickups. Be sure to read to the end where there are a few reviews to help you start shopping. Best for four, five and six string bass guitars, this is the ideal pickup to get that jazz bass tone with a powerful punch. If you are going to spend money on a new accessory, have a firm idea of what sound and tone you are aiming for to help you make an informed buying decision. So, go to the store and play a few of the best pickups for bass guitars to know what sound you get out of them. Hearing the differences will help you understand which pickups will deliver the sound you ultimately want. Read on to learn about the common types of guitar pickups. A J pickup is also known as a jazz pickup, and it is part of the magnetic pickup category. Magnetic pickups have magnetic pole pieces in precise alignment under the bass guitar strings to obtain the sound through the air. They also capture the signal using their magnetic fields and transmit them out of the instrument through a cable to amplify the sound. You will get a bright sound from a J pickup that is sometimes aggressive sounding, so it is a good choice for rock or metal music. J pickups are also popular with jazz bassists. In fact, J pickups come as a pair with one pickup on the bridge and the other on the neck. Also, the neck pickup is usually wider with the bridge pick more punchy and tight. In addition, there is a knob that bass instruments use for the dual J pickup configuration that mixes the signal that comes from each. This knob lets the pickups send in the right mix of sounds that come from the two different sources. P pickups, or precision pickups, have a heavier, deeper sound for music that requires a deeper bottom end like rock, metal, and funk. Some musicians use the P pickup as a pair with one pickup on the higher strings and the other on the lower two strings. You can also set them up in a staggered configuration, as well as a dual coil humbucker setup. Piezoelectric pickups are most common on acoustic bass guitars to amplify their signal, but you may also see them on electric bass guitars. Unlike the magnetic pickups that read a signal through the air, the piezoelectric bass pickups feel the vibration of the strings through contact with the string on the bridge. This type of pickup can eliminate the buzz and hum that happens when you use a magnetic pickup. However, they can sometimes sound weaker and thinner than magnetic pickups. 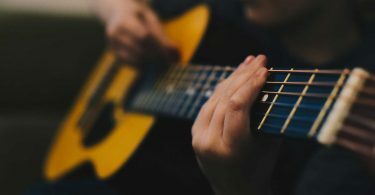 But to avoid this problem, some guitarists will use both magnetic and piezoelectric pickups to get the benefits of both pickups when they play. Bladed pickups are useful when you bend strings often because they pull the strings away from the pickup top pole style. Since pickups with a magnetic field extend beyond the metal head, your standard pickup should work just as well. Lastly, those guitarists who do a lot of string bending normally buy a higher output pickup anyway, so any benefits from a bladed pickup are void. Passive pickups are made up of magnets under the strings of the guitar. As the string vibrates, the magnet creates an electronic field that translates into sound. Also, active pickups have a nine-volt battery that creates an electric field and they often come with a pre-amp. However, passive pickups tend to have a plucky sound due to their extra windings. But their poles give you a limited, but strong sound. The magnets are what affect the sound quality, and steel magnets are generally for lower-end pickups. AlNiCo magnets are a mix of cobalt and aluminum, and they provide some of the best sounds. You will see them in different level ranging from I to V. For softer sounds, use II and III and for more treble, “hotter” sounds, use and IV and V. For a vintage sound, use II specifically. Ceramic magnets are somewhat the same as A1NiCo, but they have less of a smooth sound. Also, they will have more of a screechy sound than the AlNiCo V’s. Since there are fewer windings on active pickups, you will find they have a larger response range that can give you more tone clarity. Note that active pickups can interpret a larger tone range. Also, they can give you a preamp, providing more control of your guitar. It is hard to say if a pickup is specifically for a music genre. This is because most guitarists use a variety of pickups across the genres. So make sure you do your homework to find the best pickup for you. One thing to determine early is how much distortion you want to use. High-output pickups give you more distortion than a moderate-output pickup. You can also get distortion from a moderate-output pickup. However, it’s just that a high-output pickup will get you there much more quickly. Single coil pickups were the only option for many years with one magnet under each string. 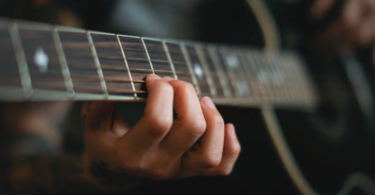 Unfortunately, single coils are famous for pickup up radio frequencies and “humming.” So the dual coil setup of a humbucker has a set of right-hand wrapped pickups and a set of left-hand wrapped pickups. Interestingly, the two oppositely wrapped poles cancel out any radio interference. Keep in mind that single coils have a brighter tone, so they are better for single-string plucking. Also, double coils have more of a darker, full tone, too. The parts of the string matter, too. Your music will sound brighter if you play the guitar near the neck. And it will sound darker if you play down toward the base. Sometimes you will see a mismatched humbucker because a brighter sounding pickup is near the base and the darker sounding pickup is on the neck, so the tone balances out. The top pick on this list of best pickups for bass guitars is the Nordstrand Big Split. It gives you the same large, full tone you get with the Nordstrand Big Single, but in a split coil version. One of the big differences is the Big Split has hum-canceling features. There is the same type of magnet layout as the Big Single. Also, the big coil in the Big Split is similar to any single coil pickup on the market. If you are jazz bass tone traditionalist, this is the ideal pickup for you. This is a popular choice among bass guitarists including Dean Bernardini, Andy Cichon, and Owen Biddle. Professional bass guitarists have used these pickups to achieve their tone, covering a large spectrum of music genres. The Big Split can be used on four, five and six-string bass guitars. And if you like to crank your bass to the limit, this is the ideal pickup to get that jazz bass tone. It is available in either the EMG or Bartolini designs. Also, they give your bass tone an awesomely powerful punch. The Nordstrand Big Split Soapbar Bass Pickup is available in the mid-$200 range. 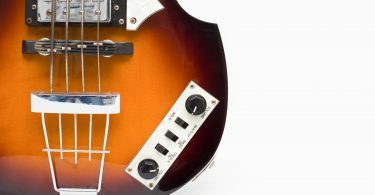 The Seymour Duncan SMB4A Bass pickup is on this list of best pickups for bass guitars because it features Alnico magnets with unique coil windings. So the result is the effect of increasing the frequency spectrum on both ends that go out beyond the ceramic magnet variety. Also, the Alnico version of pickup gives you a warmer bottom and a more detailed top. Plus it comes with a four-conductor hookup cable and a logo cover. 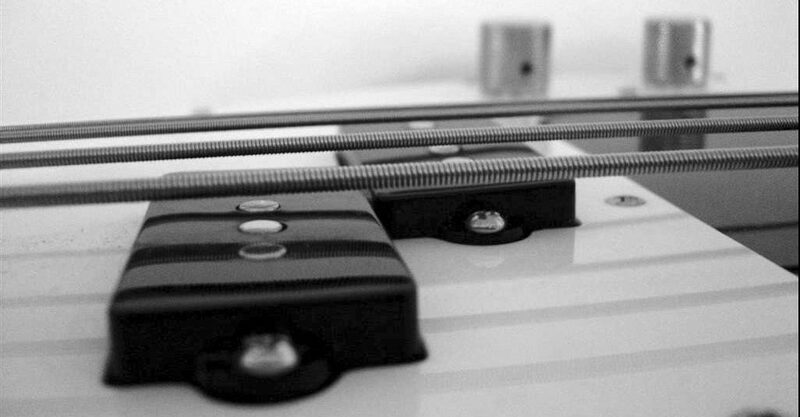 For these reasons, it deserves a spot on this list of best pickups for bass guitars. However, the Seymour Duncan SMB4A is a bit more specific than other pickups that can work with a wide variety of instruments. But Seymour Duncan created the SMB4A to go with the stock Music Man pre-amp and the selector switch they designed for a three-coil system. They have wired the Alnico magnets together to give you a distinct setup that increases the frequency spectrum. In fact, it is much larger than what you would see with the pickup if it were the ceramic magnet version. You get a more detailed and articulate high end and a warmer low end. If you are into blues, funk, rock, or music that needs a little more grit, you will enjoy the midrange that has more of a bite. This results in a warmer low end and a more articulate, detailed high end. The Seymour Duncan SMB4A is available for around $100. 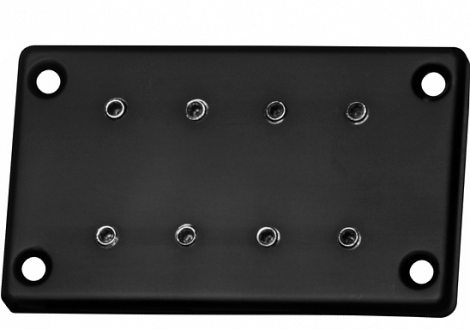 Lace created the USAB Ultra Slim Acoustic Bass Pickup Black specifically for the bass guitar. This is one of the best pickups for bass guitars because it has a slimmer profile with a height of 5/16th of an inch. 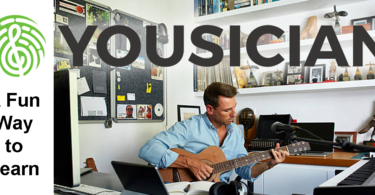 That lets you have almost limitless uses for either the acoustic bass or the solid body bass. The Lace USAB single design works for either four or five string bass guitars, too. Also, you can mount the USAB Sensor onto the surface with mar resistant 3M adhesive tape. You can also use the wood screws that come with the pickup. You can mount it permanently if you choose. The pickup is easy to install by sliding the pickup under the strings. Included with the USAB are a high-quality cable and a female endpin jack. 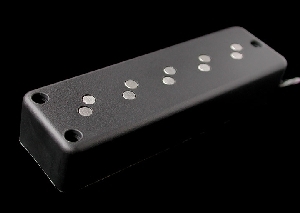 The USAB is a humbucker design offers no noise operation. Their new design also includes two Lace Sensor Micro Matrix Comb bobbins, plus eight triple ceramic magnets. And even though it has a passive design, you can still use it with an active pre-amp. The Lace Sensor USAB Ultra Slim bass humbucker pickup is versatile because it works with a solid body and an acoustic base. It is also adaptable and easy to install with no cutting or routing necessary. 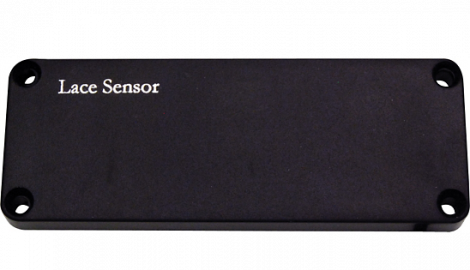 The pickup has a sensitive nature that guarantees the signal will increase. Lastly, bass guitars with the Lace Sensor USAB will have a clean, clear tone, plus a punchy midrange. The Lace Sensor USAB is available for around $100. Another product that earned a place on this list of the best pickups for bass guitars is the DiMarzio Will Power DP145 Bass Pickup. Billy Sheehan used it extensively when with Mr. Big. Because of the demands Billy puts on his guitar, DiMarzio made many adjustments to their existing models. The DP145 is the pickup Billy uses with his signature Yamaha basses. 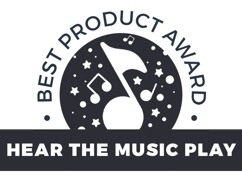 It delivers a deep sound with exceptional, low-end definition. Other musicians that use the DP145 is David Lee Roth and Steve Vai. The DP145 has the same dimensions as the Model One. But the pole piece spacing is a little bigger for easier string alignment for those long-scale basses. The DP145 is a humbucker that has four-conductor wiring. You could call the tone you get from the DP145 larger and beefier. The low end is boisterous and thick, the mids are incredibly intensified. Also, the high end has a pumped up frequency range. The DP145 is available at the $100 price point. The Seymour Duncan SPB-1 Vintage Precision Bass Pickup Set is a replica of the Leo Fender 1957 dual-coil pickup. It has the same hand-fabricated bobbins, plain enamel wire, and the same sand-cast magnets. The Seymour SPB-1 has a warm, woody tone. And it also comes with non-logo covers and a waxed cloth hookup cable. Best yet, the Seymour Duncan SPB-1 will take you back to the 1950s in sound and appearance. So this set belongs on this list of best pickups for bass guitars delivers a punchy, warm sound. This gives you that distinctively smooth low-end on those lower frequencies. 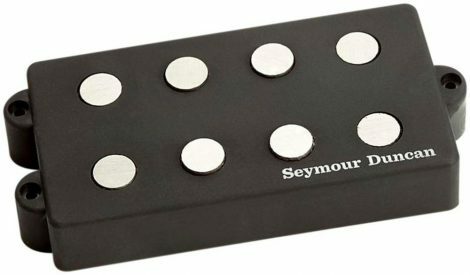 Finally, the Seymour Duncan SPB-1 is available for only $75. The EMG Geezer Butler Signature PJ Bass Pickup Set gives you that classic sound from back during Black Sabbath’s early days. And this is a passive bass guitar pickup with Alnico 5 magnets. You get those vintage tones void of the noise and hum that you get with single-coil pickups. You will also appreciate the deep, tight sound of the tight low end. The output you get from this pickup is even and balanced. Geezer Butler and EMG did a great job harnessing the powerful tones of early Black Sabbath. So it gives you driving punch and output, making it perfect for any type of music that likes a little extra bite on the low end. The Butler PJ is fully shielded, so it will operate without noise to clutter up the signal. Lastly, the EMG Geezer Butler Signature PJ Bass Pickup is available in the mid-$100 range. The Fender Custom Shop 62 P Bass Pickups has cleverly reproduced their classic 1962 Precision Bass split-coil pickup. They offer it with flush-mount alnico 5 magnets, cloth covered output wires and enamel-coated magnet wire. This gives you that full and booming sound in the low end, a clear high end and a punchy midrange. It also has flush mount pole pieces on these pickups to pull an even response from your bass strings. No matter if your bass guitar has flat wound or round wound strings, the Custom Shop ’62 Bass pickups will provide an improved stock sound to completely transform your tone. They have included all the mounting hardware, as well. The Fender Custom Shop ’62 Bass pickups are available in the low $100 range. 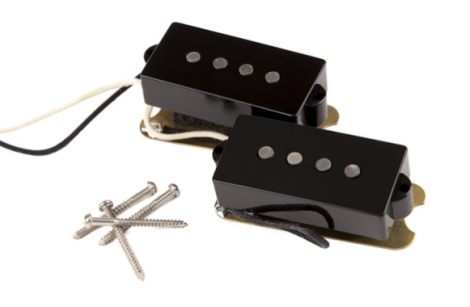 The DiMarzio DP127 Split P Replacement Pickup has a special double blade, making it a true humbucker. This pickup expands your bass guitar’s range with EQ. This increases your high and low-end response. It also allows you to get a wider contemporary sound from the midrange. It has a nice snap for a crisp attack. The DP127 increases your cool overtones to give you a large, smooth tone. The Split P is sensitive to finger and pick due to the blade pole pieces. The notes appear to sound louder in the high frequencies, so you can hear every articulation your make. These are the best pickups for bass guitars if you want a booming low end and a strong attack. 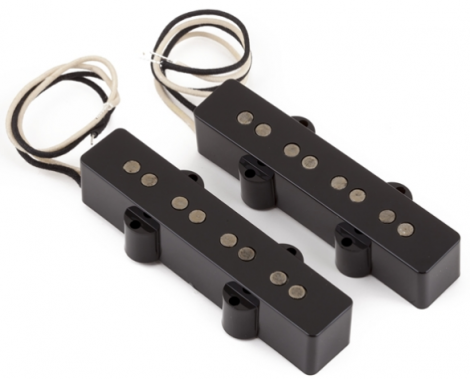 And the DiMarzio DP127 Split P Replacement Pickup is available just under $100. Fender modeled their Custom Shop Custom 60s Jazz Bass pickups after the vintage 60’s pickups. However, they overwound them to make their pickups punchier in the midrange and low end. Fender uses Alnico 5 magnets and formvar magnet wire to create a sound with extra thump and growl. The flush-mount magnets guarantee that your string response is balanced across the board. This makes them one of the best pickups for bass guitars you have to hear to believe. Also, Jazz Bass pickups are easy to install and cost approximately $150. 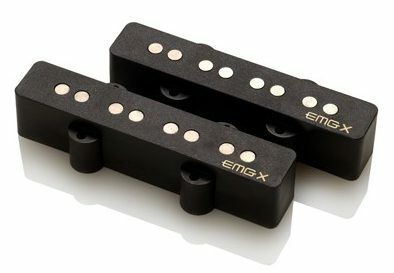 The EMG JVX set of pickups has a mix of the new and old design ideas to provide classic tones, as well as the look of a traditional Jazz Bass. Yet the EMG JVX set still has the “faded” attack the offset pole pieces use. And they have mixed that with EMG’s lowest-noise preamp they have. The EMG JVX bass pickup has a retro appeal, too. Also, the coil and electronic design make a great upgrade from your stock pickup. The JVX gives you more headroom that gives voice to an open and organic tone. Yet it is still able to maintain the response and clarity that EMG’s are known for, as well. This pickup can bridge the gap between active and passive tones, and it has over 1,000 hours of battery life. The JVX is easy to install, too. You get a tight low end with punchier mids, and highs that have a glittery sheen. They add a lot to your overall picture without any hum or noise. 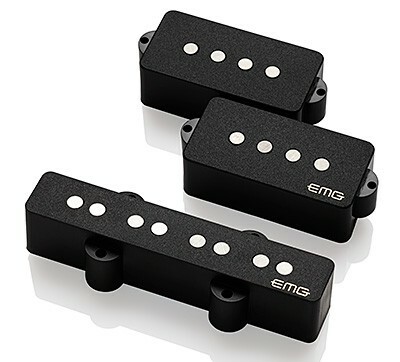 The EMG JVX Bass Pickup set is available for just under $200. 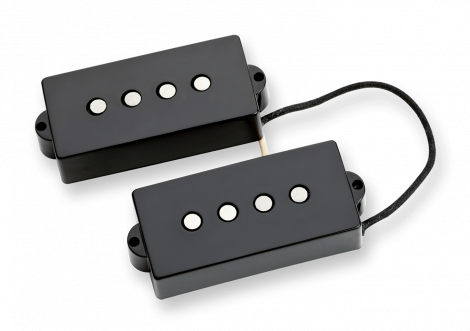 The DiMarzio’s Ultra Jazz pickups are one of the best pickups for bass guitars because they increase that jazz bass sound. 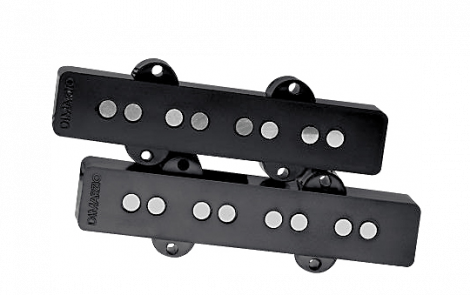 These pickups provide a wider range of harmonic tones that would normally lay inactive in their stock pickups. There is a tighter, thump like low end, and an additional punch in the mid-range. The Ultra Jazz pickups get rid of the hum you normally hear with single coils. You also get improved sensitivity for any playing style. 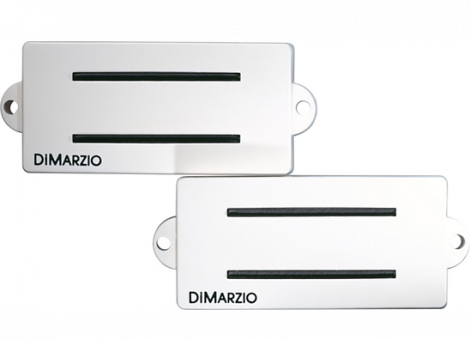 The DiMarzio Ultra Jazz pickups are available for just over $100. The Fender Pure Vintage 74 Jazz Bass Pickup Set has the vintage bobbin construction with original-era cloth wiring. All Fender Pure Vintage pickups have the authentic, traditional Fender sound thanks to precise specifications. Plus, the versatile vintage voice gives you a warm, full low-end and a distinct midrange. The Fender’s Pure Vintage ’74 single-coil Jazz Bass pickups are for those who like to play with a soulful fingerstyle and a slap-style funk. These pickups are aggressive. The electronics are flush mount pole pieces. It also comes with enamel-coated magnet wire, and cloth output bobbin and wire construction. When you combine these factors, you get a precise, vintage sound. The pickups also capture enhanced dynamics with an even, clear string response. This pickup set will take you back to that classic era of sound. The Fender Pure Vintage 74 Jazz Bass Pickup Set is available for just over $100. This list of the best pickups for bass guitars has a wide range of products and price points. So whatever music you play, you should be able to find the perfect pickup for you. 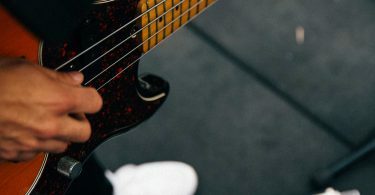 Have fun experimenting with the sounds and tones you can make with your bass guitar. You Tell Us: What’s the difference in sound between a "P" and a "J" pickup? What’s the Difference Between Active & Passive Guitar Pickups? 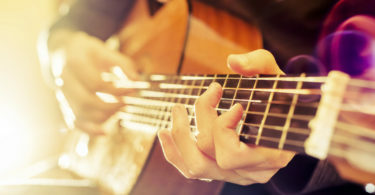 Strumming or Plucking the Strings: Which is Best?